Quick authoring - easy mapping. Now is the time to go fully online with your assessments. Say goodbye to your mapping spreadsheets forever and say hello to the most sophisticated assessment compliance tool an RTO will ever need! 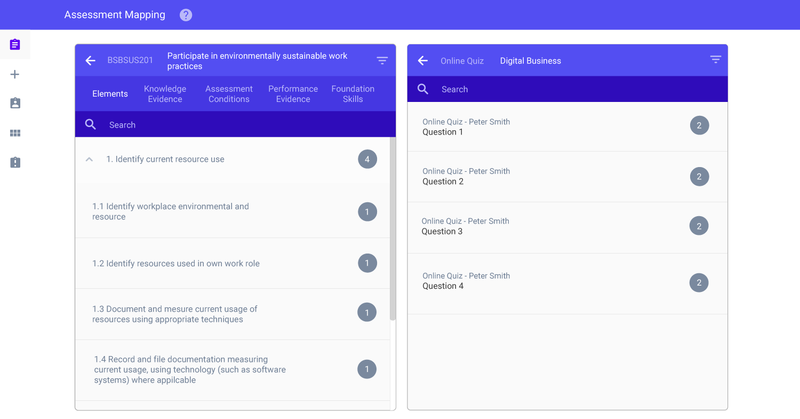 "Our students find the system easy to navigate, the trainers state the self-marking tool for multiple choice – single choice questions assists greatly, and the formatting of the portal allows for ease of marking for the short answer questions. I am truly impressed with how easy the system was to populate, to bring online and how easy our students and trainers find it to use. Could not ask for more." 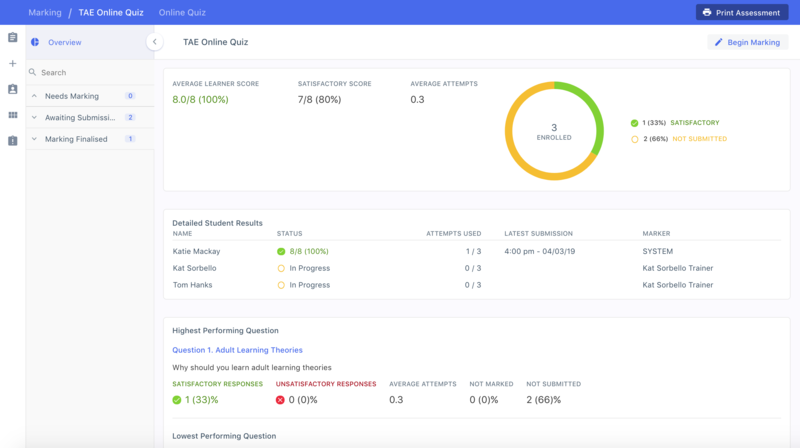 "I value aXcelerate for allowing a panel of selected users to have an enormous influence in creation of the Online Assessment tool - I can vouch for the fact that the ability for it to map tasks to units of competency at a deep granular level is a significant differentiator. It is a tremendous time saver when it comes time to audit!"